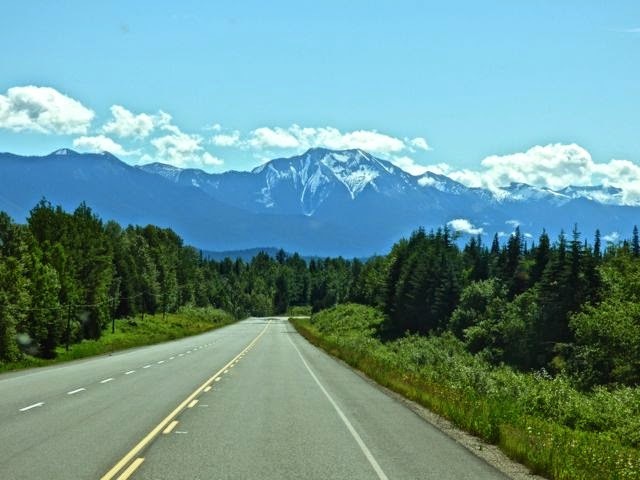 Our drive from Prince George via Hwy 16 which is known as the Lakes and Trails route took us to Valemount just south on Hwy 5 from 16 and 190 miles. 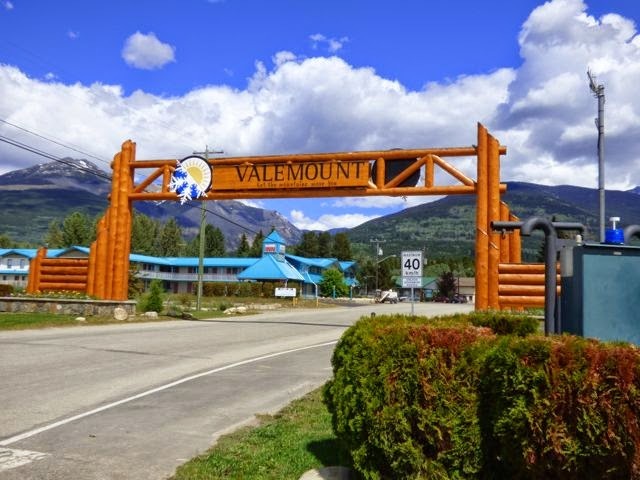 Valemount is a gateway to the Canadian Rockies and surrounded by the Rockies,Cariboo and Monashee Mountains. 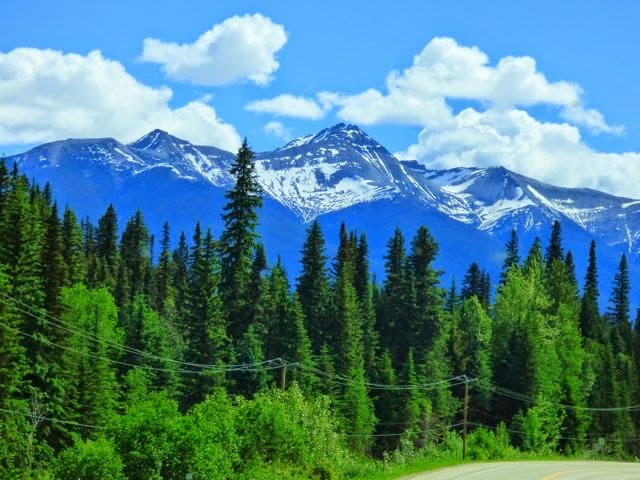 It is only a 20 minute drive to Mount Robson Provincial Park and 75 miles to Jasper. 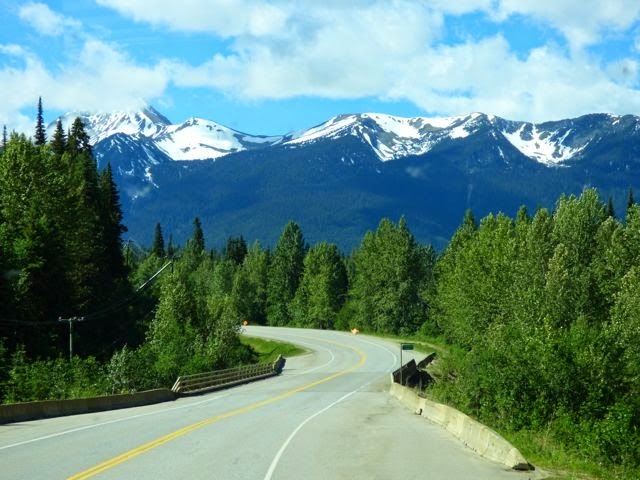 The drive here afforded many mountain views mostly of the Cariboos. Note: the boo is in reference to names and bou in reference to the animal. 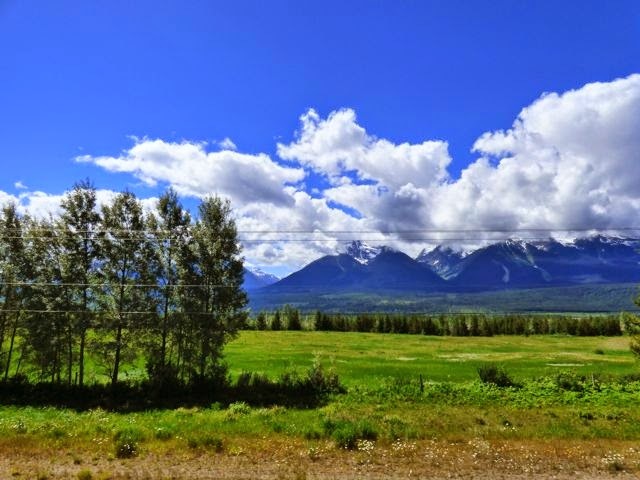 Photos below are mountain scenes enroute to Valemount. Not sure of names. 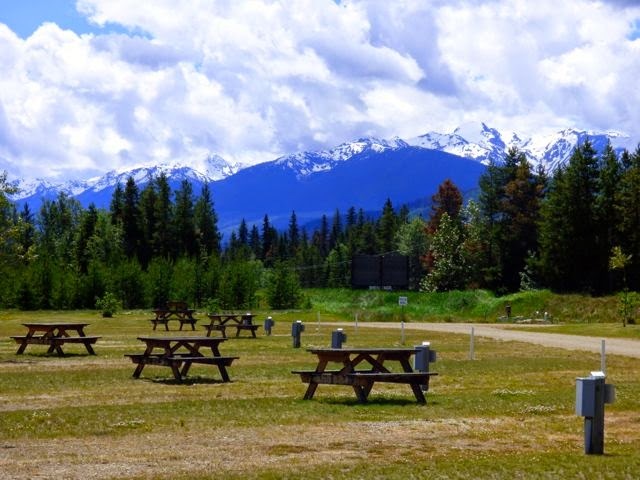 Our campground,iRvins's, is just off Hwy 5 near the town of Valemount and very nice. 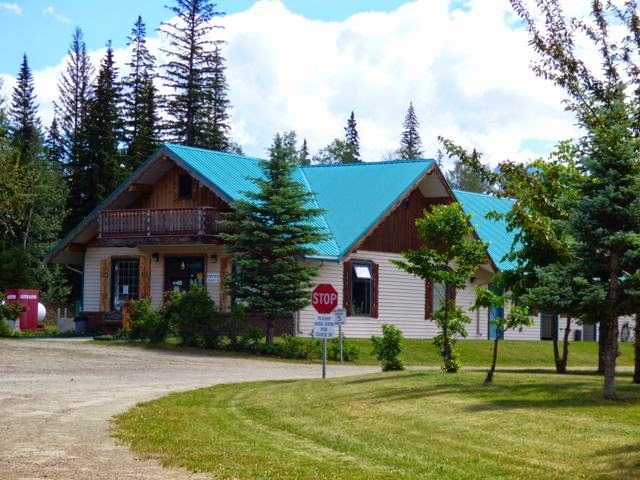 Nice wide open spaces with full hookups, free Wi-Fi and very friendly staff. The price is $33CAD with Good Sam Discount. There are over 60 sites and when we arrived, the park was quite empty. Think this is a short stay park. 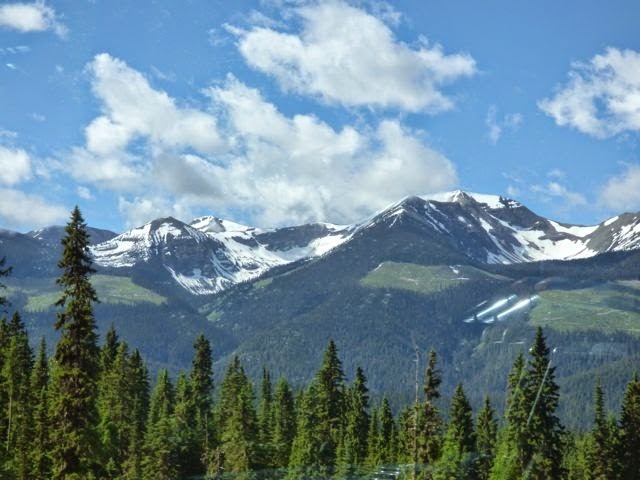 The mountain views are amazing. 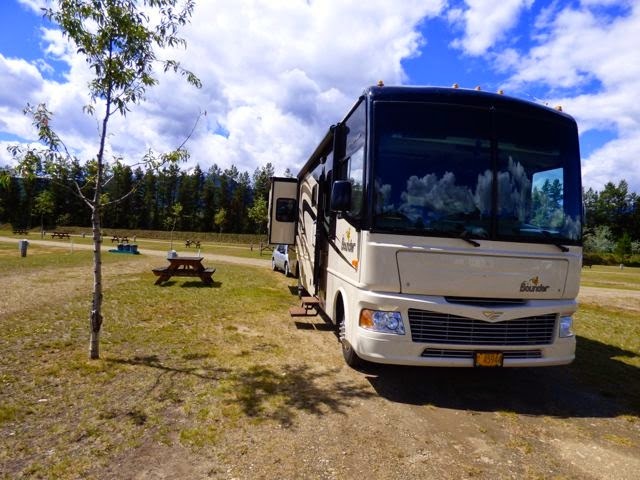 We are here until the 29th when we head to Canmore AB via the Icefield Parkway from Jasper. 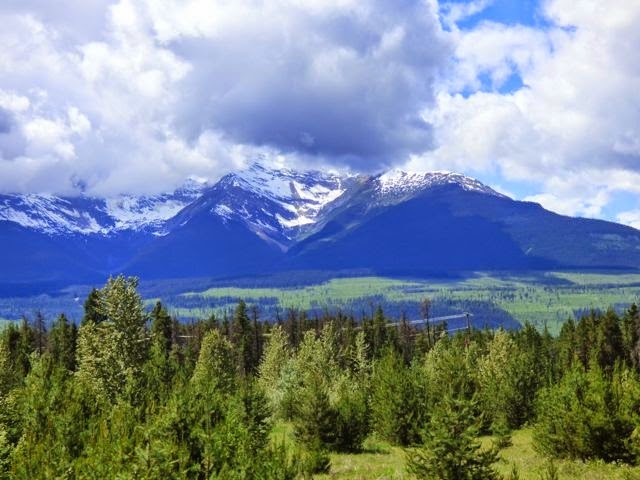 This is our 3rd visit to the Canadian Rockies and could truly spend a summer. 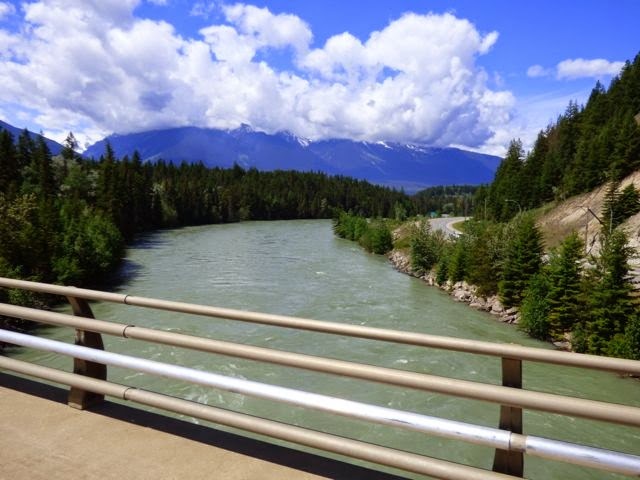 After settling in, we drove to Jasper and will do a separate blog for that. Weather is supposed to start raining Friday thru the weekend so may extend our stay until Monday.